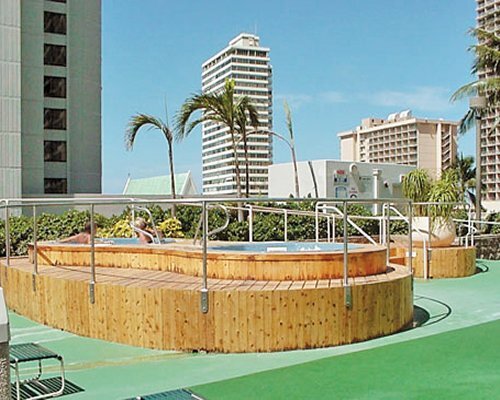 Sweetwater at Waikiki hosts a plethora of family fun including, a tennis courts, saunas, a barbecue area, a playground and an outdoor pool. 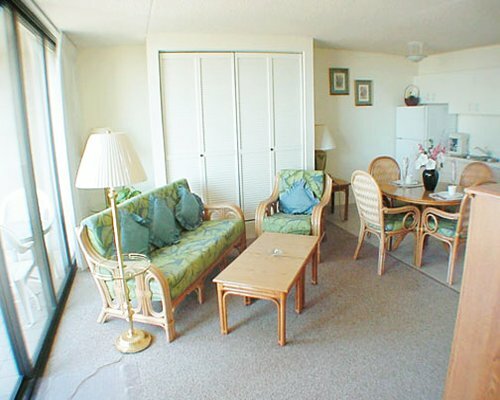 World-famous Waikiki Beach is just a block away offering surfing, sailing and a number of other water sports. On the island, vacationers will find international plazas, market places, arcades, bazaars and shopping centers for everything. 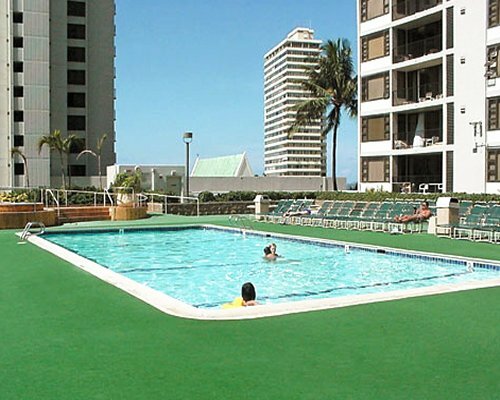 Spend a few playful hours in the 300-acre Kapiolani Park, which features an outdoor bandstand, tennis courts, and picnic areas or visit the aquarium is across the street. Do not check in at the front desk. You must go to the pay phone and call 922-7502. 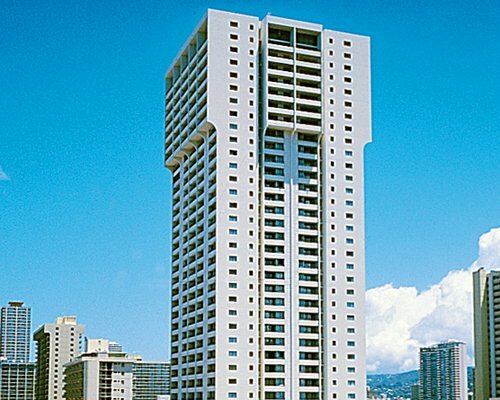 The nearest commercial airport is in Honolulu, ten miles away. 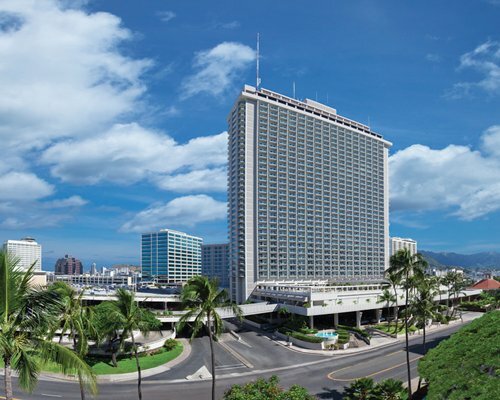 From the airport, take Nimitz Highway, which becomes Ala Moana Blvd., then go right on Kalakaua Avenue and merge left onto Kuhio Avenue and proceed two miles. 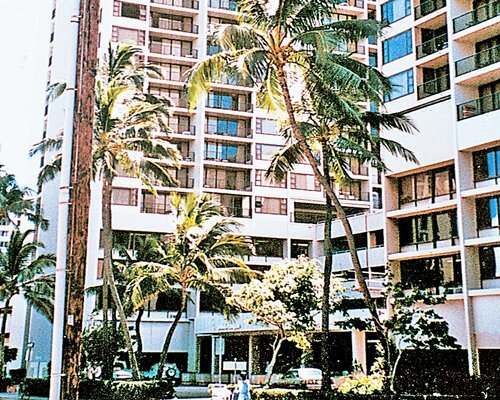 The resort is on the corner of Kuhio and Ohua in the Waikiki Banyan Building. Check-in is Saturday from 4:00 to 8:00PM. 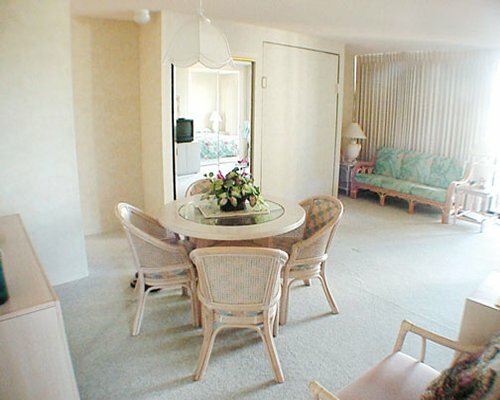 Late check-in requires prior arrangements with resort managers. 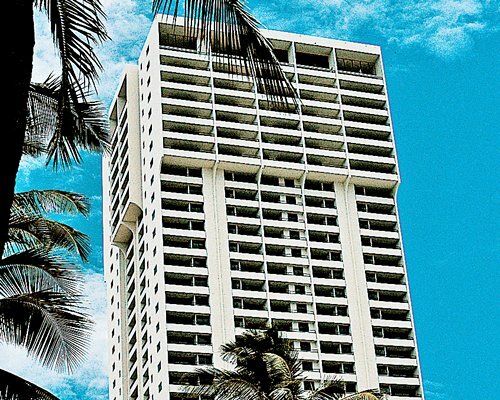 Upon arrival take the Waikiki Banyan Tower 1 elevator to the 4th floor, room 403 for check-in.